Annyeong! Bonjour! ^_^ Last Christmas, I was gifted a delightful basket of goodies from one of my favorite café bakery, Tous les Jours. It's a South Korean bakery franchise offering a mix of French-Asian goodies. My penchant for it goes way back, it's love at first try. Now, it's double the fondness since I discovered its quick and easy brownie recipe from their Homemade Bakery line. Original Brownie Mix by Tous les Jours. 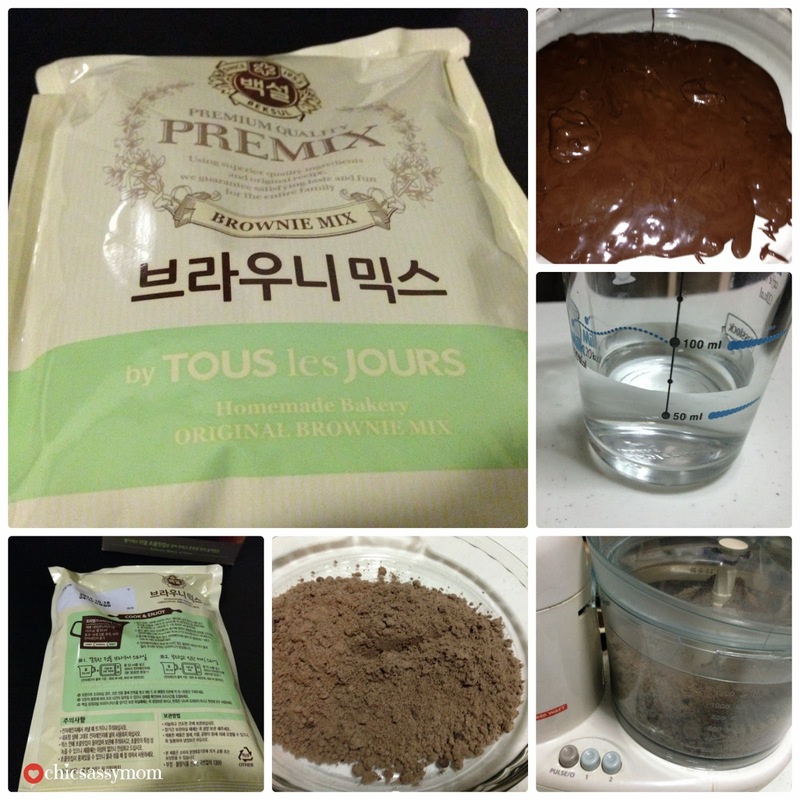 Tous les Jours Brownie Mix Cooking Instructions. Bake & Enjoy. Brownies made easy! Tous les Jours brownies everyday,why not? I used about 70ml of water for more moist and chewy brownies. I used food processor (Philips) with the pastry dough blade. Initially, I wasn't sure that 70ml water was actually enough to moisten the mix. But, fret not, it's enough! As instructed, I set the microwave (GE) at Power 8 for 3 minutes and 30 seconds. I think setting it at Power 8 was just the enough cooking temperature, and it cannot go higher, since a very, small portion in the center, was about to be a bit toasted. I like to call it baking, so please indulge me. ;-D I love the smell of it during that sweet 3 minutes and so. And once done, it truly smells nice too! #freshlybaked You have to cool it down for an hour before slicing and serving. Slice and serve. Bon Appétit! I love that the brownie mix also has tiny chocolate chips. Some melted, and most didn't, so you still get the extra kick of sweetness and textures from the already sweet, rich, dark chocolate-y goodness of it all. The family and extended family love it. We agree, that it's better than your usual roll of chocolate cake, which is about the same price too. Brownie a la mode soon! A box of Tous les Jours Brownie Mix sells for Php 248 at Tous les Jours branches in Manila. Like Tous les Jours Philippines official FB Page, for more details and seasonal promotions and giveaway. Science comes alive at The Mind Museum. After visiting the Traveling Exhibition of Leonardo Da Vinci, we went on to explore the many more galleries and exhibits. Dinosaur Fossil at The Earth Gallery of The Mind Museum features apparently the first permanent T-Rex exhibit in the country. This is such a captivating scene and place. Fossil Dig at The Mind Museum. Rotating tunnelcraft that connects the Earth Gallery to the Universe Gallery simulating travel from Earth to the Space. Discovering the different Phases of the Moon. Chase couldn't get enough of it, and we're just getting started. So much to see, so much to do...my Little Scientist is having the time of his life. Happy Sunday. 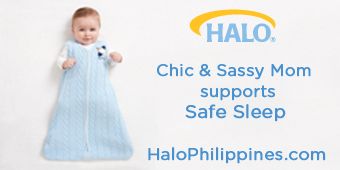 We're back from our short but sweet Angeles City trip. I was pleasantly surprise to visit SM Clark. Oh my, I love the ongoing renovation. It feels SM Aura-esque! There was so much to eat. 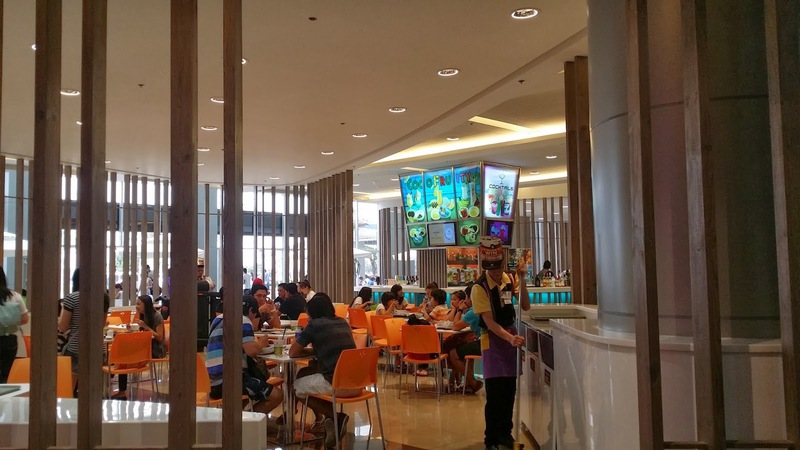 Concessionaires offer an array of different flavors and cuisines. Because, we're late for lunch, we went on to explore one side... Turkish Doner, Don Don Tei, Purple Pad Thai, Seoul Bibimbap. My instinct was to go for Korean ;-D, but the line was a bit long, so I went to Purple Pad Thai, bro.-in-law went Turkish, my sister turned Japanese...Asian Buffet is it! 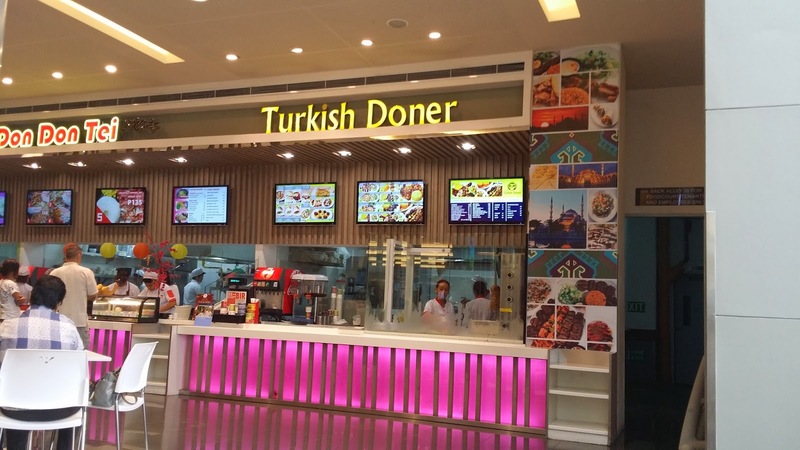 Kebab and Pita with Hummus Dip at Turkish Doner. 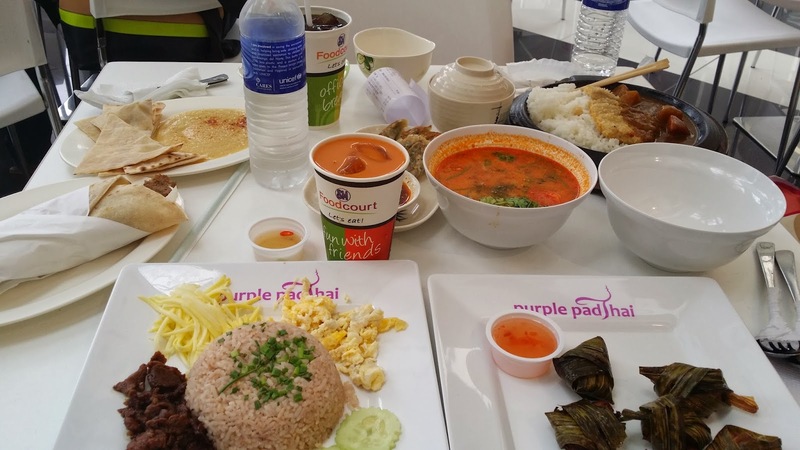 Thai Bagoong Rice, Chicken Pandan Wrap, and Tom Yum Soup from Purple Pad Thai, and Katsudon with Curry Sauce and Gyoza from Don Don Tei. Average dish/meal is at Php 120. It was Asian Buffet for us! Tom Yum soup is love, Thai Bagoong Rice too. Plus the Pita with the Hummus Dip. Dessert was from Dairy Queen Chocolate KitKat, with extra almonds. Sweet! Happy tummy. Oh my, I mentioned the Ice Skating Rink. 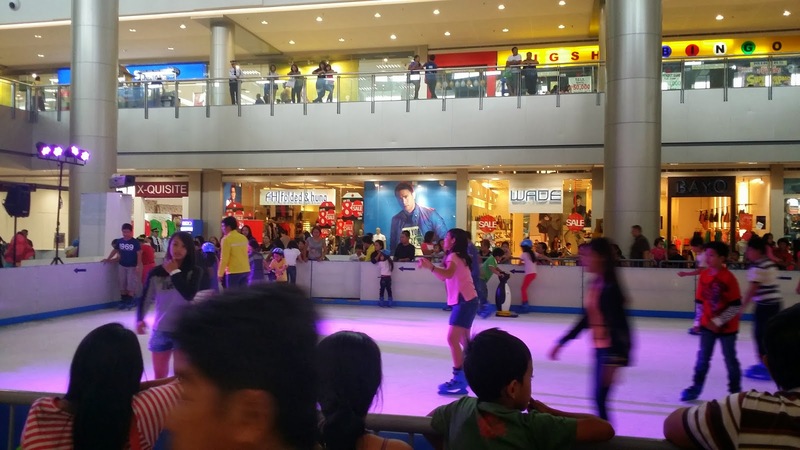 I therefore conclude that all the little boys and girls in Angeles City are now future figure ice skaters, hockey players and the likes. Nice. I envy them, because Chase wants to do it, but nearest rink us is SM MOA's. Bad traffic. So there's a nice food court offering local and international cuisines, an ice skating rink, and there's the greater selections at Uniqlo to boot. I envy my Cabalens. I can't wait to be back and bring the whole gang (hubby and son). Cheers! 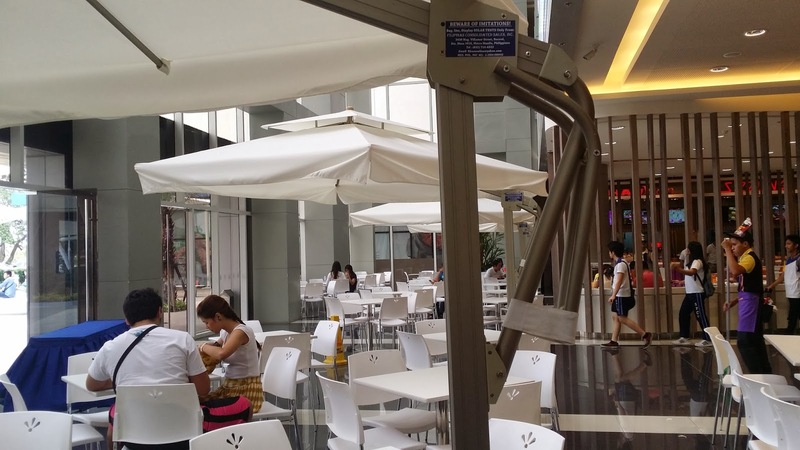 Sometime ago, we visited The Mind Museum at the Bonifacio Global City (BGC), Taguig. 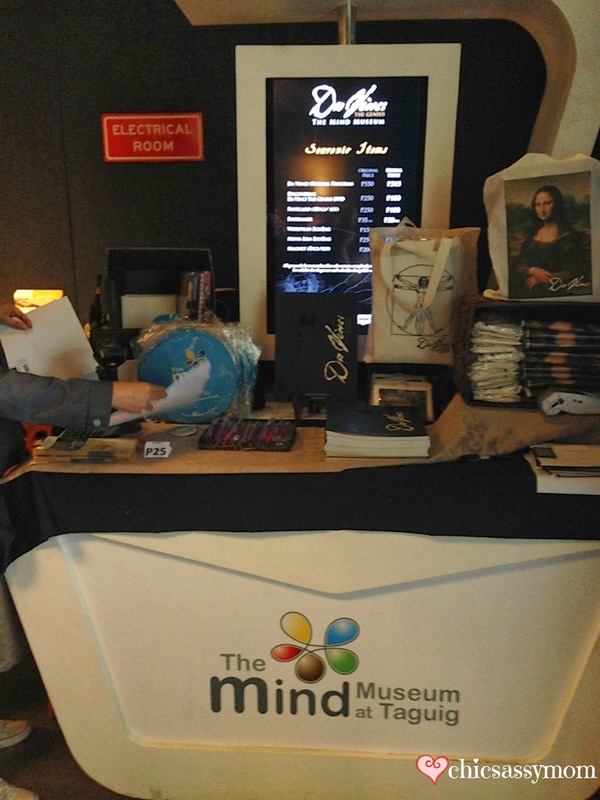 It was the last day of Da Vinci: The Genius Traveling Exhibit. Thankfully and lucky us, we made it! Da Vinci: The Genius Traveling Exhibition features Leonardo's tangible examples of his theories, most of which never travel; they’re either locked away or on permanent display in a small number of esteemed museums around the world (like the Mona Lisa in The Louvre in Paris, which we had the pleasure of seeing). This exhibition provides a tangible and easy to understand exploration into the diversity of ideas that consumed arguably the greatest mind the world has ever known. It also featured reproductions of Leonardo da Vinci’s amazingly accurate and detailed anatomical drawings. Mostly, it also included reproduction of the famous Renaissance artwork in actual size (The Last Supper, Vitruvian Man image and explanation, and Mona Lisa). Read more about the history and origin of the Da Vinci: The Traveling Exhibit here. My son, Chase, who had a fascination to everything military and mechanical, was now a big fan of Leonardo, as the exhibit featured large scale machine inventions, many interactive, crafted by modern day Artisans in Italy. The machines are based on the Artisan’s meticulous and lengthy studies into Leonardo’s codices. Leonardo's Mirrors Room. It is an eight-sided room with eight flat mirrors as the walls, that if a person stood inside, he "will be able to see every party (of himself) endless times"
Inside Da Vinci's Mirrors Room. The exhibit allowed us to be almost up close and personal with Leonardo, the inventor, artist, scientist, engineer, sculptor, anatomist, biologist, musician, architect, philosopher, and more. At the end of the exhibit is a message wall... Chase wrote, "Leonardo is the best military guy!" Just had to get mine. Mona Lise tote, and Ref Magnets. I feel bad and guilty for not visiting and writing the post earlier, I hope you were able to read more about it form the many others who wrote about the greatness of the Da Vinci, The Genius exhibit. It was such an amazing experience seeing it with my son. I love the many interactive things the exhibit showcased. It was a different museum experience that I'm used to (silence please, please do not touch, please no picture taking etc.). The same is true with the many more Science Exhibits that The Mind Museum has in store for everyone. 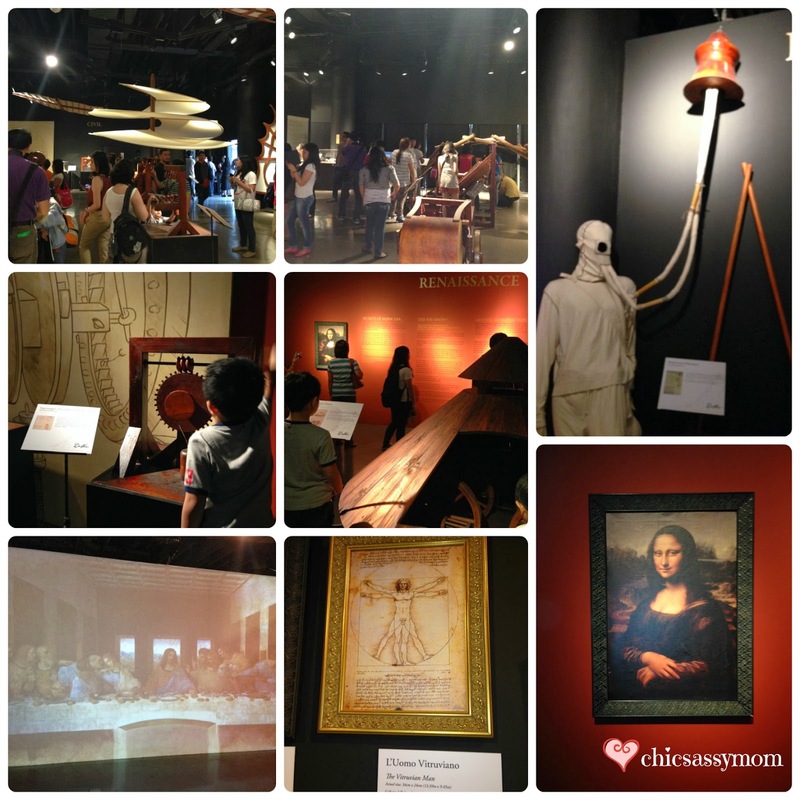 Although, the Da Vinci exhibit went on to travel in other parts of the world, there's more to see in The Mind Museum.We had All-Day pass (Now sold at Php 750/person), our first stop was at the special exhibition hall featuring Leonardo Da Vinci. Please stay tuned for The Mind Museum Part 2 detailing the many Science exhibits, galleries, and parks of The Mind Museum. Visit The Mind Museum at Taguig. For For The Mind Museum ticket rates, please visit https://tickets.themindmuseum.org/. It's still Innisfree Jejubija Anti-Trouble Skin Care Line for me. Those will be, item no. 1-3, 5, and 7. I mentioned previously that I incorporate a serum in the line, which you can opt to use right after the skin/toner, but what I do is to selectively use the lotion to my pimple-prone areas (forehead and chin), and regularly use the Soybean Firming Serum on my cheeks. I'm almost out of Innisfree Soybean Firming Serum, so I'm trying out Innisfree Perfect 9 Repair Serum, so far, so good. 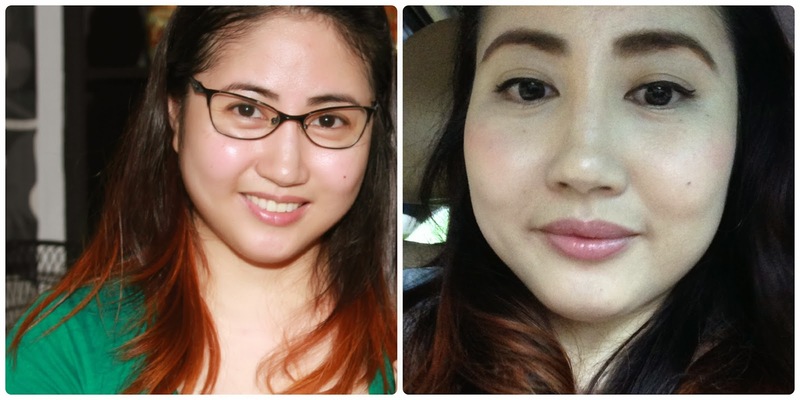 I love the beauty tool of the Soybean so I'm using it with whatever serum/cream that comes my way. 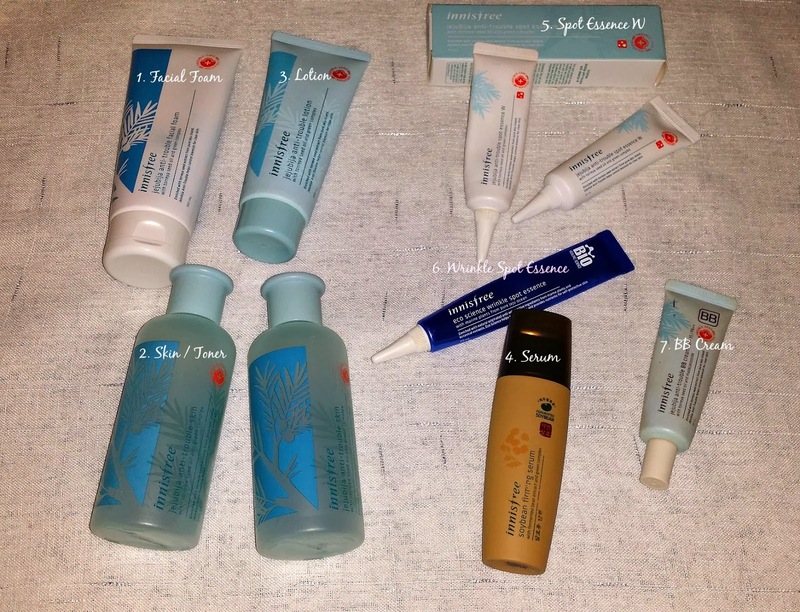 Here's the part that I'm more adventurous, I try out different serums/creams from other brands every so often. A mainstay skin care product for me is the Innisfree Jejubija Spot Essence W, more than the R, which I cannot use during the day because it's green, although a bit more intensive. As for the Innisfree Eco Science Wrinkle Spot Essence (Item No. 6), I use it as an add-on and reinforcement to an eye cream, although more recently as a stand alone. Item no 7 is the Innisfree Anti Trouble BB Cream. My last haul was from Innisfree Hong Kong c/o my cousin. Otherwise, it's still via my ever reliable eBay seller, BHappywithMe. Although, there was a time that I couldn't wait to pre-order, so I still have with me Skin Food Tea Tree Cleansing Foam and Skin Food Green Tea Milk Cleansing Foam (Fresh), which I bought from Skin Food Marquee Mall. Dear every one, hope all is well with you. I'm well. I wish I can tell you that I went MIA because I was out of the country, but it's so not the case. 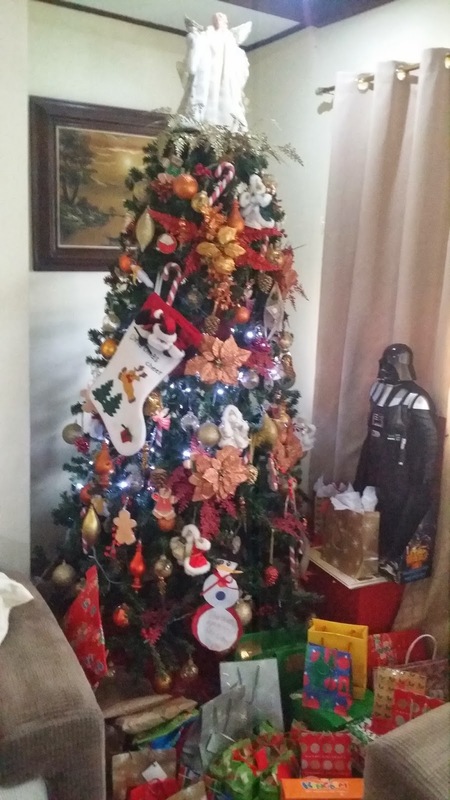 Although I was out of town last Christmas, and I did celebrate my birthday! Happy Birthday to me! Chuka hae! As always, I'm just usually here and there, I miss blogging, 2013 was such an erratic year for me. I hope to make it up, and I still wish I matter. Drama. I do hope you did not go away! But between that, I went for my Korean Dramas to de-stress. Aigoo! Seriously the best anti-aging activity. Haha. ^_^ Seriously, between the hustle and bustle of my mundane life and my third grade son's taxing school demands as the icing on top (Hah! ), I was done for! 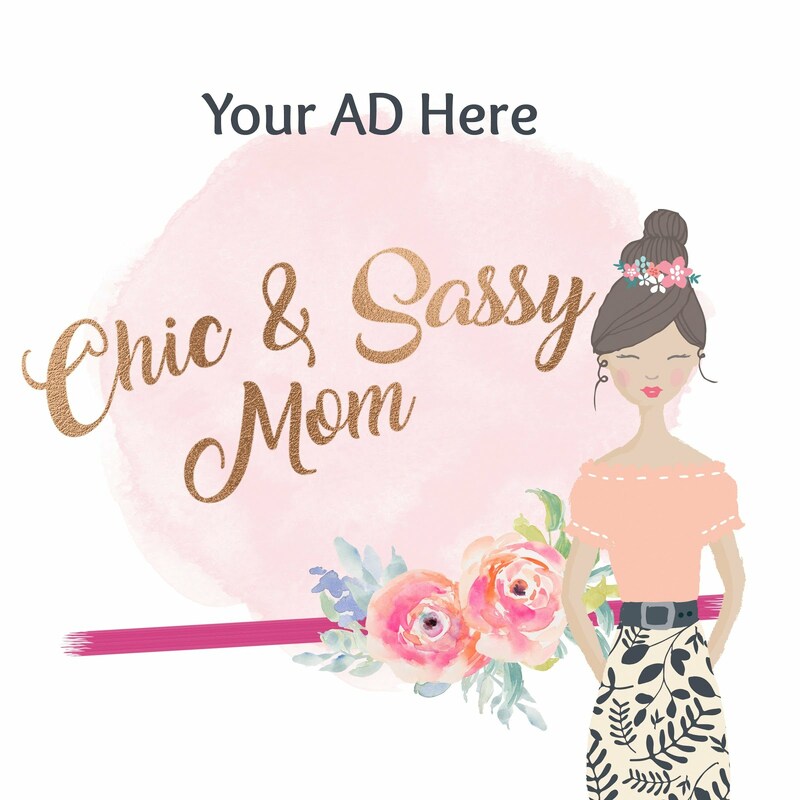 Sadly, I am not as chic and sassy mom as I hope to be. But, I'm back...hopefully, I'll do better this time! Thank you Lord for the year that was 2013. From my family to yours, I wish you had a merry Christmas! Shopping Note 1: We are loving the Giordano Kids Griffin Polo, which Chase would have the green for New Year's Day. And as for me, Tory Burch (tops and bottoms) all the way. Oh my, I will be back to do a shopping post, I went on a shopping frenzy last time. If it was year 2011, I would have overwhelmed you with a lot of shopping posts. Life is sweet, indeed!